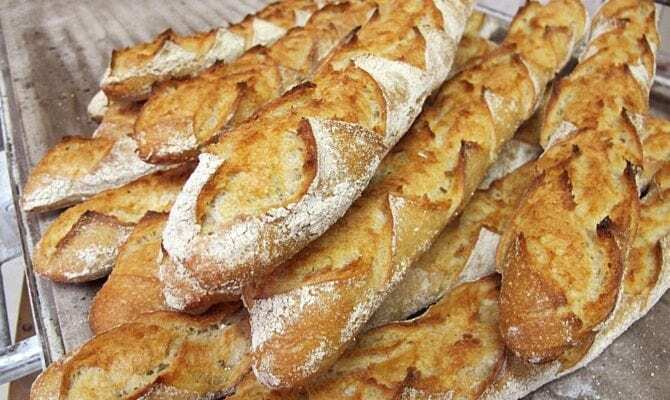 Come experience the art of making the French baguette from the guy who beat the French! In this three hour, hands-on class we will explore how the intricacies of flour, water, salt and yeast make the most iconic bread in the world. It is at the same time one of the simplest and one of the most complicated breads we make, which is what makes it so extraordinary. Go home with dough to shape and bake at home as well (along with finished baguettes of course!). CRAIG PONSFORD graduated from the California Culinary Academy with top honors and opened Artisan Bakers with his family in Sonoma California in 1992. In 1996 his breads won the Gold medal at the Coupe du Monde de la Boulangerie in Paris. He then went on to coach the US Team to victory in 1999. He has coached each U.S. team since and served as U.S. judge at the 2002 and 2005 Coupe du Monde and 2007 Louis LeSaffe Cup held in Argentina. He currently is an instructor at the Artisan Baking Center in Petaluma, California and has his own bakery/innovation center, Ponsford’s Place, in his home town of San Rafael. Craig was an early member of the Bread Baker’s Guild of America and has volunteered as the guild’s chairman for the past eight years. In his teaching at various culinary institutions and in his international consulting for product development and systems optimization he emphasizes quality of ingredients, techniques and product.